Today I’m going to tell you a story about how I came to love a pie. The story starts with all of our fans on Facebook, because if it wasn’t for you (you are a fan, right?) I’d certainly never have gotten to know this pie. The pie I’m referring to is our Pineapple Pistachio Pie. 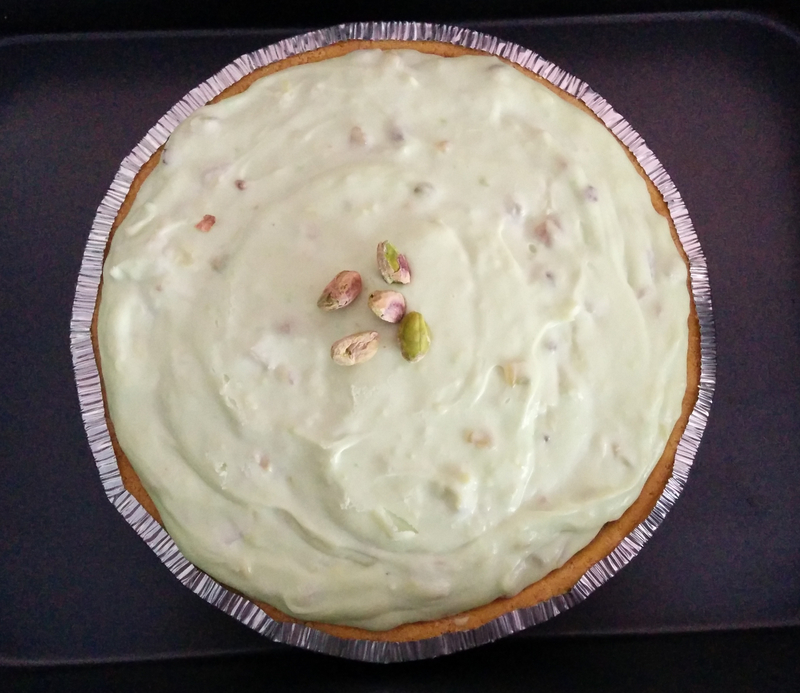 This pie and I became acquainted on the day I thought I’d share the recipe with you all for National Pistachio Day. 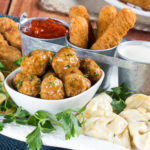 I was searching for a recipe I thought you guys would love, and decided on this one. You guys went…PISTACHIOS over it. All I can say is…I took a bite of that pie, and it was like magic. 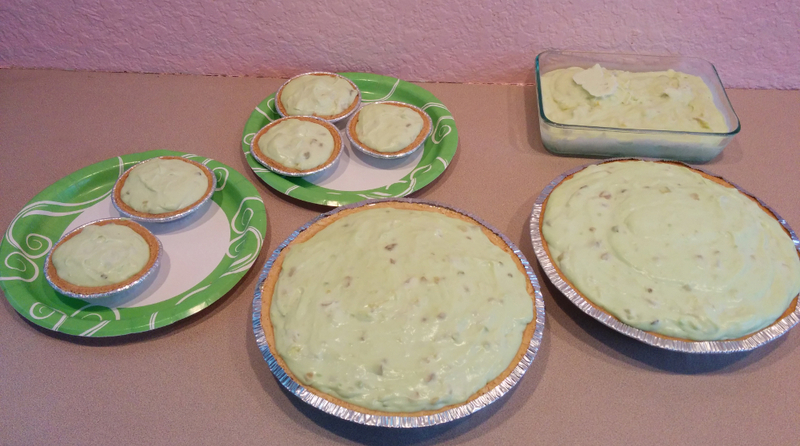 Rich, creamy, pineapple pistachio magic. I knew I had to make it. 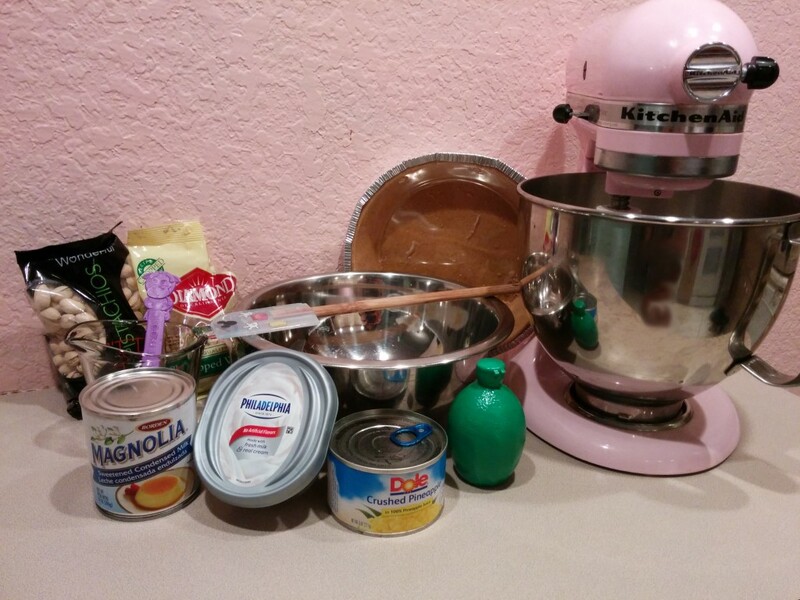 Before I begin to cook or bake anything, I always gather all of my ingredients and utensils and place them on the counter. 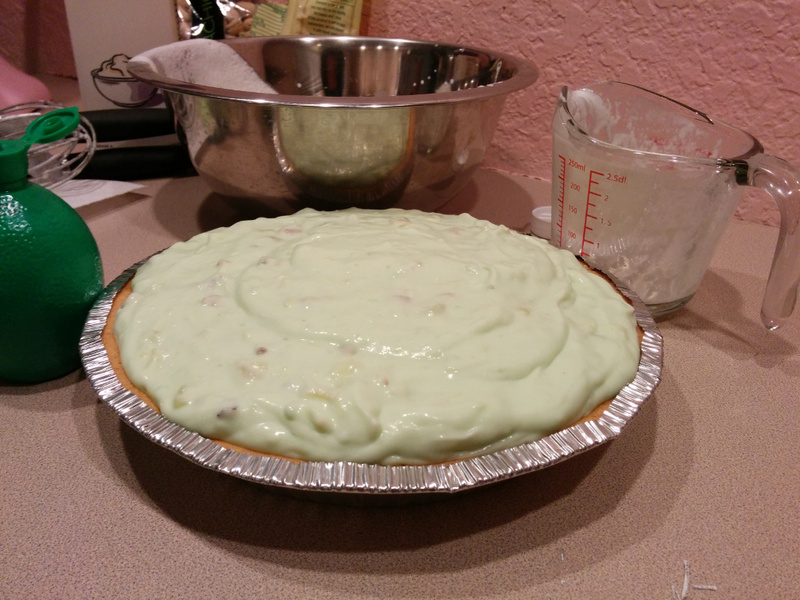 As you can see, I decided to use a prebaked pie crust to make this easy pie recipe even easier! Oops, I forgot to get a couple of ingredients in the photo! 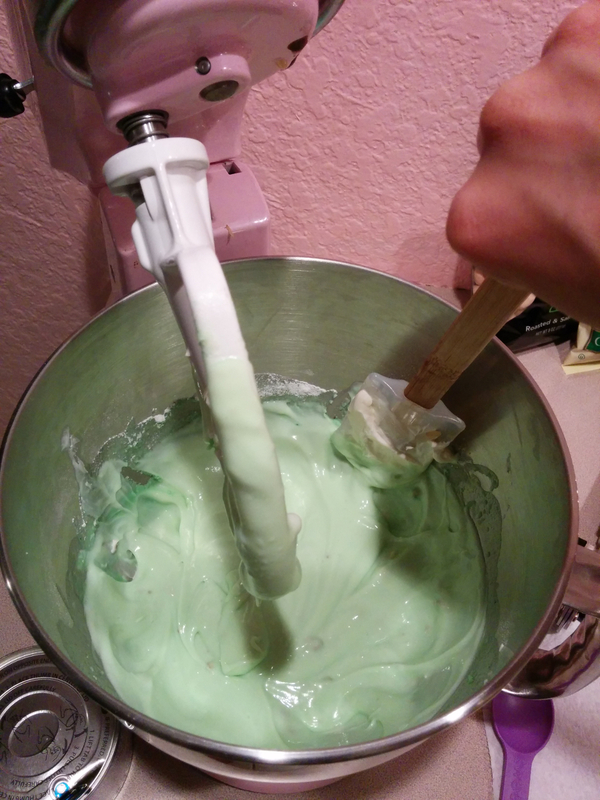 First ingredient to go in the mixer is the cream cheese. I beat it at medium speed until it became smooth, occasionally using a spatula to scrape the sides. 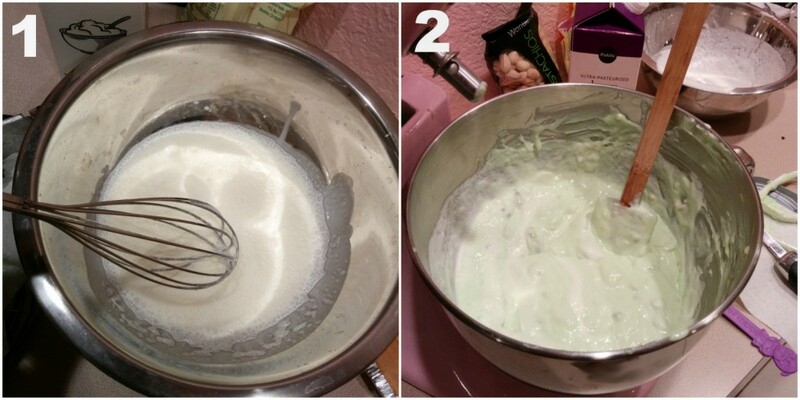 Then I added the sweetened condensed milk, lime juice, and pudding mix to my fluffy cream cheese. 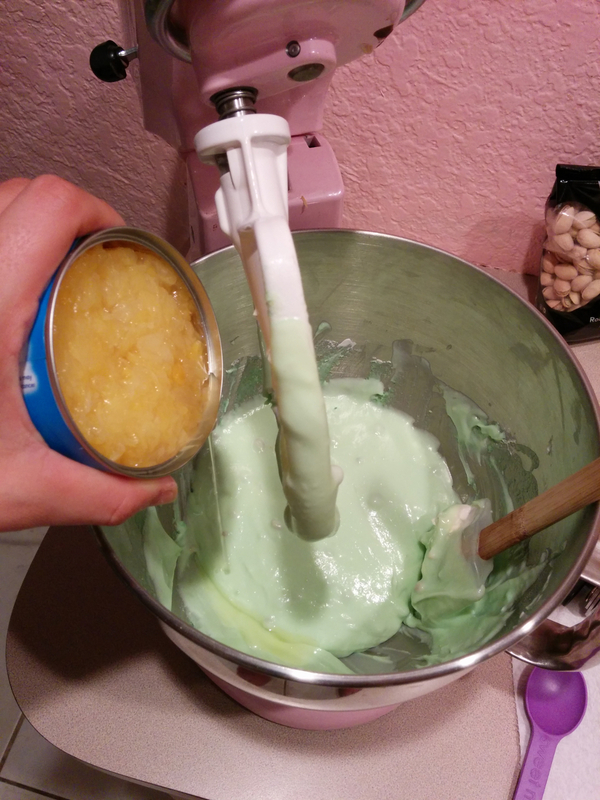 In the next step I added the pineapple and walnuts. Forgot to snap a picture of the walnuts going in, but trust me they were there! Meanwhile, in another bowl I beat the heavy cream. 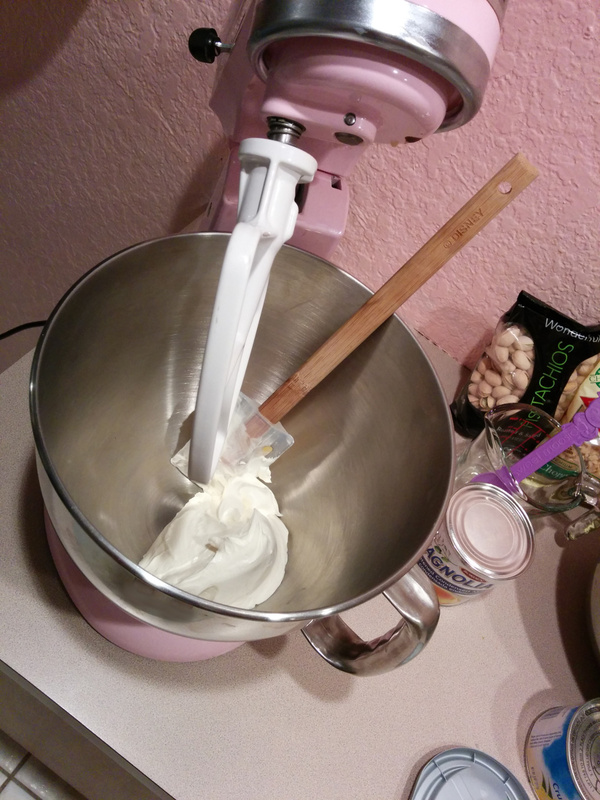 I don’t have an electric hand mixer, so I just used good old-fashioned (wo)man power. 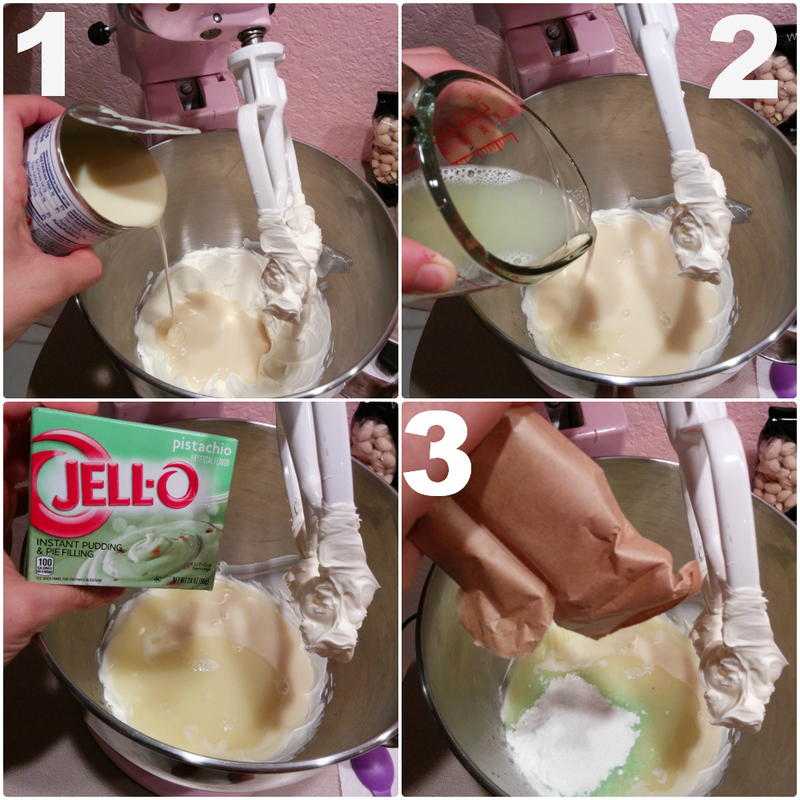 The cream was folded into the pudding mixture. All I had left to do was pour it into the crust and VOILA! Have you tried our incredible Pineapple Pistachio Pie yet? If not, you should! 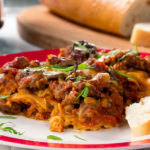 Click here for a link to the full recipe! And be sure to let me know what your favorite pie is in the comments below! I LOVE reading your blogs, they are so fun and engaging! I look forward to reading much more from you! 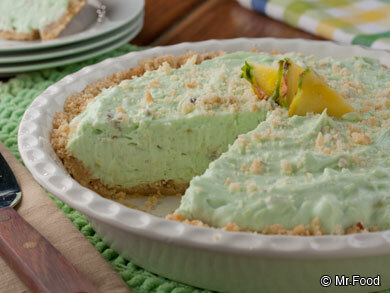 Oh and by the way – I am so making this pie! This was great the whole family love it great summer desert. Thanks for sharing, Ronda! I’m so glad you liked it! pie has to be outstanding. I am going to try it for sure.